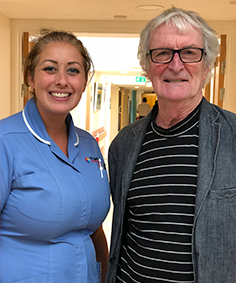 “Having worked as a family doctor for 30 years in Plymouth, I know St Luke’s plays an invaluable role in caring for people at the end of life. The holistic care and support given extends across the community, reaching people at home, in hospital and at the specialist unit at Turnchapel. This means the majority of patients are able to spend their final days in the comfort of their own homes, with loved ones – which I think most of us would wish to do. “When I was asked to be a patron of St Luke’s, I had no hesitation in accepting. My cousin is one of their home nurses, so I know what a difference they make across Plymouth, where I was born, and the surrounding areas. 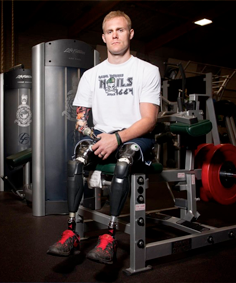 I’m also aware of the charity’s trial project whereby veterans support other veterans towards the end of their lives, and that’s something I have a close affiliation with. I know that when a family loses a loved one, it can be a very emotional and traumatic time – my own family faced real challenges when I was injured, and I was fortunate enough to pull through. Christina started out her career as a nurse at St Bartholomew’s Hospital in London. Christina went on to specialise as a cardiac intensive care nurse, working first at University Hospitals of Leicester NHS Trust and then on to the John Radcliffe Hospital in Oxford. Christina first demonstrated an ability to lead through clinical development at the JR Hospital, being instrumental in setting up what was then ground breaking practice in cardiac recovery, which has since become a standard technique in recovering post-operative cardiac patients. Christina obtained her first degree in Social Policy and Administration, subsequently, becoming a researcher at the University of Wales Medical School. Here, she focused on the impact of staff competence on the outcomes of diabetic care, which became the catalyst for her career path. Her passion for education, leadership and organisational development led to a variety of roles whilst working at Plymouth Hospitals NHS Trust. Christina was focused on organisational development, leadership and workforce transformation throughout her time in Plymouth. A forward thinking, innovative and committed leader, Christina feels privileged to be Director of the NHS South West Leadership Academy, working alongside her dedicated colleagues. Currently leading nationally on two of the eight leadership collective work streams; clinical and patient leadership. 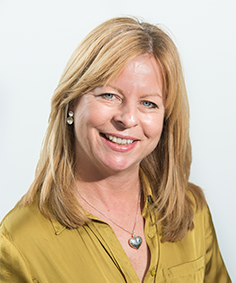 Christina is passionate about leadership development in the South West. 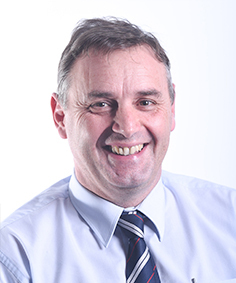 Mark is a commercial banker with 35 years experience, the last 15 of which have been spent in Plymouth. Aware of the work that is undertaken through St Luke’s, Mark says he jumped at the chance to become involved feeling it was an opportunity to ‘put something back’ into our community. 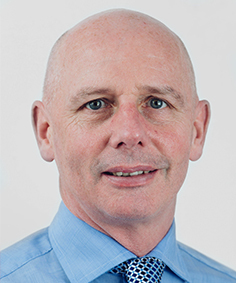 His banking and commercial network and experience enables him to promote the work that is undertaken by St Luke’s throughout the city as well as helping to ensure the financial stability of St Luke’s continues. He says he is immensely proud of the work that St Luke’s undertakes and feels honoured to be a part of this organisation. 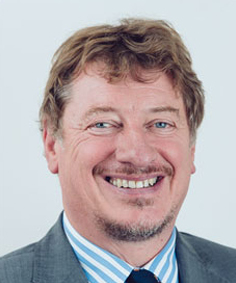 A general practitioner for over 25 years, Stephen was a full-time partner in a St Budeaux medical practice which served a community with diverse socio-economic needs. His professional interests included clinical governance, diabetes and dementia and he is a member of the Royal College of Surgeons. In retirement, his interests include sailing, swimming, gardening and walking. A retired specialist palliative care nurse, Carol spent ten years working with Macmillan and then St Luke’s supporting patients in the community and the day-to-day management of the hospice’s community team. Prior to this she worked as a medical secretary while bringing up her family, eventually returning to nursing at Derriford Hospital then moving into the community as a District Nurse. A strong negotiator with an interest in strategic partnerships. Chris has a background in securing investment, managing public infrastructure projects and delivering physical improvements for Communities. 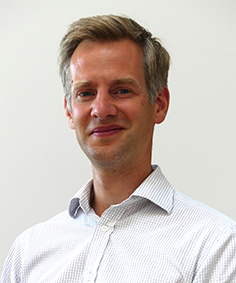 He graduated from Plymouth and is a Chartered Civil Engineer and has worked in both public and private sectors on a variety of Major Regeneration Projects. 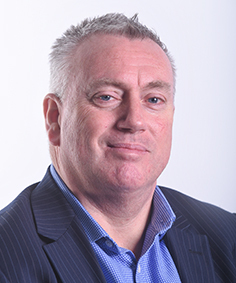 He has worked at English Partnerships, Central Government and at a senior level with two local authorities before becoming a self employed consultant. A high-performing banker with a passion for community engagement, Clare has spent the last ten years with Barclays where she currently works as a Premier Market Development Manager. She has a background in complex lending and commercially-focused account management and holds qualifications in European studies, financial planning and banking conduct. 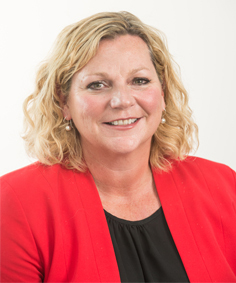 Fiona has 38 years of experience in the health and social care sector as a provider and commissioner. Her specialisms include; older people services, safeguarding and integration. 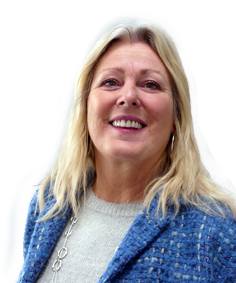 She is also the Independent Chair of the Safeguarding Adults Board for Cornwall and the Isles of Scilly. Fiona brings a wealth of experience in health and social care to St Luke’s, including a high level of safeguarding expertise and knowledge of strategic work. She has been an executive director in the NHS for 15 years and has been a Trustee of Cheshire Young Carers. 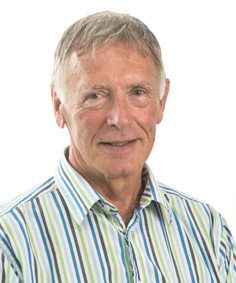 Steve has spent most of his career at the University of Plymouth, initially as a lecturer and researcher in Psychology, and subsequently as Head of Department, Dean of Faculty, Head of Research, Deputy Vice-Chancellor and Acting Vice-Chancellor. 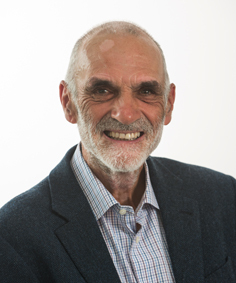 Having worked extensively at a national level, as President of the British Psychological Society and as a member of senior committees of the research councils, Steve brings extensive experience of the education and research sector to his role as Trustee. 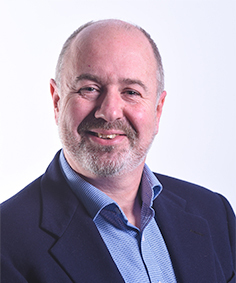 Mike has over 35 years senior financial management experience in large industrial organisations; most recently as a board member of the UK division of a leading European aerospace manufacturer. He is a member of the Institute of Chartered Accountants and his professional interests include, strategy, financial planning and evaluation. Having started his career in Plymouth Mike returned to Devon in 2016. With a long career in nursing, mostly as an intensive care nurse and/or nurse manager, Julie has supported patients and families at the bedside in Plymouth, London and California. 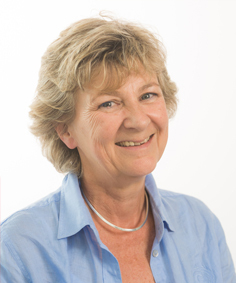 Working at Plymouth Hospitals NHS Trust, she was one of the first Nurse Consultants nationally, and as Director of Nursing and Midwifery she was jointly accountable for all aspects of nursing and midwifery care in the Trust. 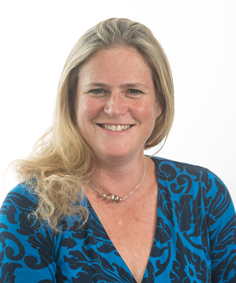 Following this, in 2009 she joined the executive team that turned around the then severely failing Mid Staffordshire NHS Trust, seeing it become a top 20 per cent performer nationally for patient experience against all 96 standards, and with 98 per cent of patients likely to recommend its care. 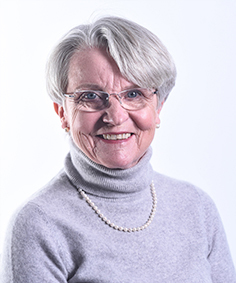 Now retired from the NHS, Julie has given several national and local presentations on the learning from the failings at Mid Staffordshire and has helped with various leadership events for the Royal College of Nursing and NHS England. Charles is Chief Executive for Mayflower 400 and Destination Plymouth, having moved to Plymouth at the start of 2017 to fulfill a life plan to live in Devon near the sea and moors. 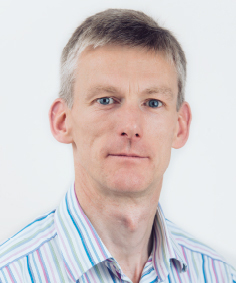 Prior to joining Mayflower 400, Charles spent 17 years at GlaxoSmithKline in a wide range of international and national roles, working across major global markets and at different times based in different European countries. 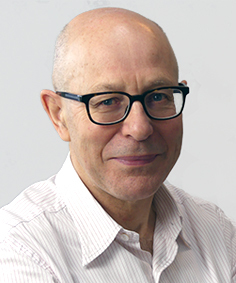 His final role at GSK was leading the international development, supply and marketing of a major new respiratory medicine. Charles is enthusiastic about outdoor activities such as hiking, sailing and wild swimming. I joined St Luke’s in 2004, having previously worked for various corporate manufacturing organisations. Since joining St Luke’s I have completed an MA in Hospice Leadership. I feel proud to work with people who have a real passion and dedication in delivering great patient care. My hobbies include cycling, running and cryptic crosswords. In my youth I had football trials for Notts County and Northampton Town, fortunately I did not succeed! I joined St Luke’s in October 2001 as a clinical nurse specialist in the community and took on the role of director in 2005, having previously worked in the field of palliative care/oncology since 1991. During my many years of working within palliative care, the one thing I have come to realise is that the most important thing we can provide to our patients and their carers is time and someone willing to listen. My hobbies include a passion for cooking, watching rugby (particularly when my son is playing) and camping with my family. I am a consultant in palliative medicine, and medical director. I joined St Luke’s as consultant in 2002, having trained as a registrar here and in Exeter over the previous four years. Before qualifying as a doctor I got a degree in engineering, ran a guest house and worked as a trainee chartered accountant. I enjoy running, writing and preaching. I joined St Luke’s in 2015 having spent 15 years in retail with Marks and Spencer and 15 years in leisure with Virgin and then charitable trusts in Northumberland and Scotland. I am here to bring in the money to support the outstanding end of life care that we deliver, while working to our core values. I have a passion for cinema and gardening and that takes up most of my spare time. As a lifelong Newcastle fan I’m experienced in managing ups and downs. Okay, not that many ups. I joined St Luke’s in February 2018, having previously worked for the University of Plymouth Students’ Union and Plymouth City Council (PCC). I undertook my professional accountancy training with PCC, qualifying as a member of the Chartered Institute of Public Finance and Accountancy (CIPFA), and alongside a number of finance roles my work included the set-up and transfer of council houses to Plymouth Community Homes, and the transfer of Plymouth’s schools to Academy status. I’m proud to be using my skills to support the wonderful work of St Luke’s. Spending time with my family and coastal walking are always on my weekend list!